When it came to moving to the retirement community known as Discovery Village at Naples, Ann Banach barely batted an eye or flinched a muscle. After all, moving to a new home is old hat to someone who’s done it 16 times already. Banach has been around the country and back again, thanks in large part to her late husband. Not wasting any time, the two were married six months later, and within five years had a son and a daughter to add to the family. But instead of going to work at an office, her husband went to work everywhere, and took Ann and the kids with him. Working as a servicer for Curtiss-Wright, the largest aircraft manufacturer in the world, the Banachs found their way from coast to coast,following her husband’s career. Her favorite story about her husband comes from the time when he was working at New York’s John F. Kennedy airport while the family was living at the Jersey Shore. “We lived there for 21 years, but Kennedy was so far from the Jersey Shore that at the end of the day he would get himself put on a transport plane that was going from JFK to the little airport out here,” she said with a smile. Banach thought the move to Marco Island might be permanent, but that was before her daughter had a baby at 42 and her son’s new baby boy was born with a severe hearing impairment. When retirement time came for real, Banach headed back to Florida and found an ideal spot just 13 miles north of her former home at Marco Island. “This is the loveliest place,” Banach declares. “There’s so much banter going on between the residents; there’s a real happiness here, and the people who work here want to make you feel happy and feel good about yourself. Banach has always been a go-getter; just ask her about her impending 90th birthday. 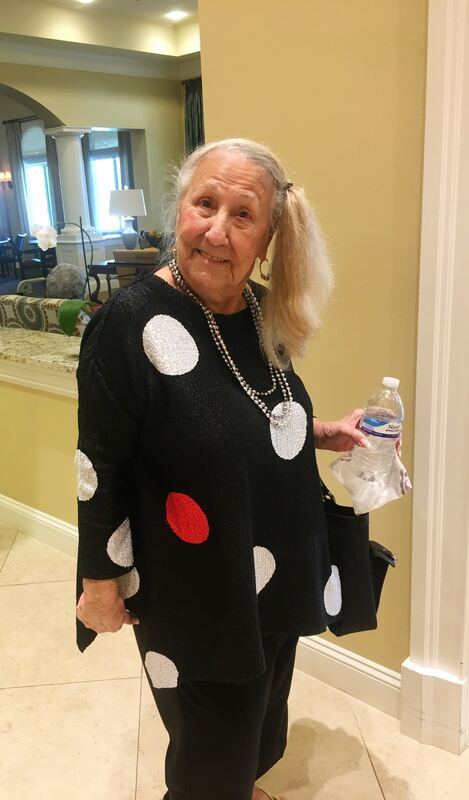 When people walk through the doors for the first time at Discovery Village at Naples, they are often greeted by a vibrant, friendly woman who offers to show them around, wants to know where they’re from, and lets them know that she’s there to help them anyway she can. It’s only when they ask if she works there do they realize that they’ve just met a new neighbor by the name of Mary Lou Steelman, who might just be the youngest 90 year old on the planet. Like a lot of people, Steelman was naturally anxious about moving to a home specifically for seniors when she began thinking about a transition. Trying new things has been the credo by which Steelman has lived her entire life. Originally from Pennsylvania, Ohio, she married a engineer and together they raised three children. The family moved to Naples in 1977. She got a shot at the profession when she replaced a regular at a Naples’ country club for a summer. They liked her so much, they asked her to stay, and she did for the next 10 years. She and her husband retired together, permanently, at age 65 and got back to another one of their passions - golfing. “We loved to golf, we went on these package programs where we went out of town to other courses and went on a lot of tours,” she said. Steelman prefered to play with the guys rather than the ladies, although she admitted she didn’t always strictly keep to the rules. She and her husband were married more than 50 years before he passed on. One of her favorite things about her new residence is her access to family. 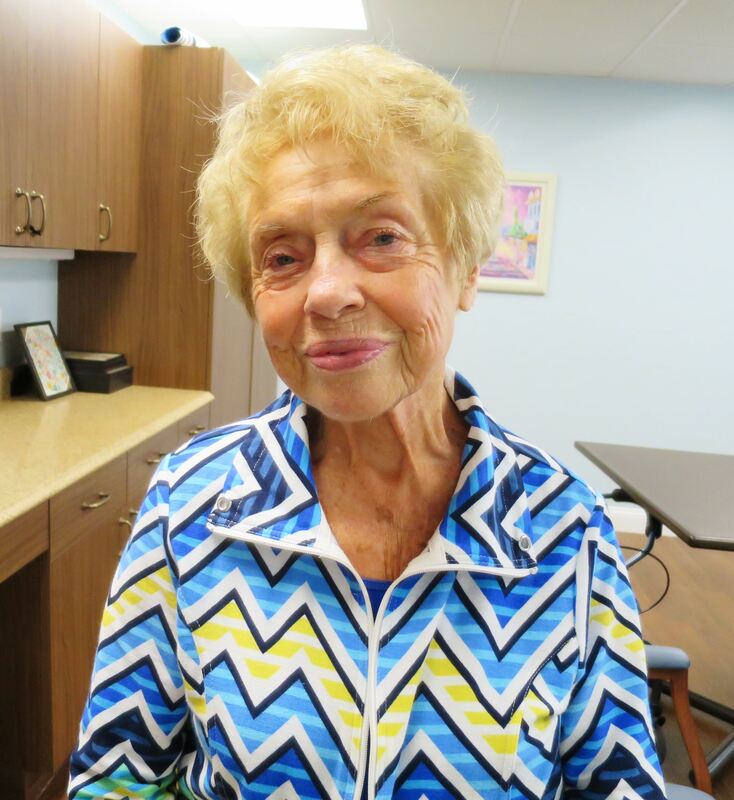 She and her husband had previously lived in a condo community that restricted when grandchildren could visit, something Steelman didn’t take sitting down considering she has 10 grandchildren, 11 great-grandchildren, and one great-great-grandchild who is 10 years old. Jerry Nepon - There's No Snow Here! 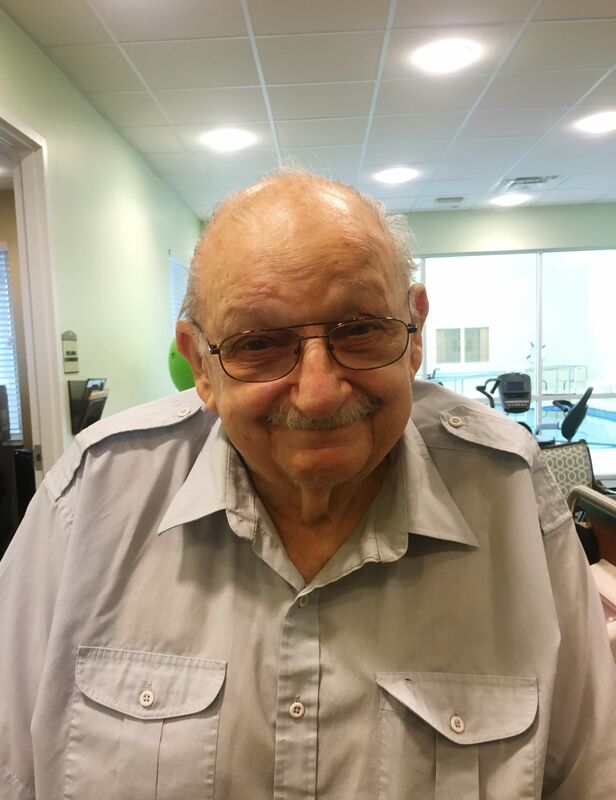 Timing is everything for 89-year-old Jerry Nepon, who calls Discovery Village at Naples home. He visited Naples 40 year ago for a convention back when things were a little bit different. “When I came to Naples for a convention, Marco Island was very tiny. Naples had about 7,000 people with two main roads and the biggest mosquitos you’ve ever seen,” he recalls. Nonplussed, he returned to New Jersey, where he had lived since age 13 and started his own company providing solution for heavy haul transporters. Forty years later, he came back to Naples to visit his brother-in-law. In those 40 years he had been gone from the area, Naples had tripled in population to nearly 21,000. The economy - based largely on tourism to the nearby Everglades and Ten Thousand Islands, had exploded. Its savanna climate saw temperatures in the 70s and 80s almost year-round, and it was just a quick two-hour drive from big-city life in Miami. For all those amenities, the real determining factor to Nepon and his wife of 66 years was the one his brother-in-law passed along. He and his high school sweetheart headed for Naples and a different retirement community. Nepon struggled some with the transition as he watched the community management make mistakes and show no interest in advice from residents. Dissatisfied with their choice, Nepon remembers randomly opening the newspaper one day to a giant ad for a new community called Discovery Village at Naples. With rave reviews from other properties, a 36-month rent lock, an in-house movie theater, and non-stop list of activities, it looked like the perfect fit. It even looked like Nepon’s timing was perfect as when he called he got the very last unit available. But that great timing took a crushing blow when his wife passed away mere days before they were supposed to move to Discovery Village. It also helped that the Discovery Village at Naples was exactly what Nepon was hoping for when he left his prior community. And it’s not just friends keeping Nepon occupied. The day of the interview brings a close to a weekend visit from a whopping 15 members of his family - his son and daughter, now both in their mid-to-late 60s; five grandchildren and a couple of their spouses; and two great-grandsons, ages 2 and 4, for Nepon to spoil rotten.